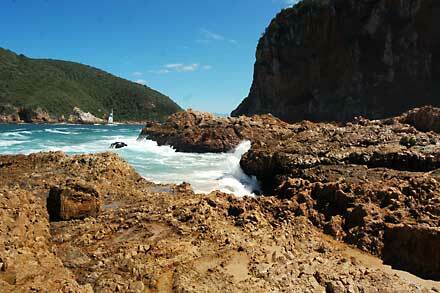 Often referred to as 'South Africa's Favourite Town', Knysna enjoys a unique and picturesque location. Located on the banks of an 11km long lagoon, Knysna nestles between the majestic Outeniqua mountains and the Indian Ocean. It is surrounded by deep forests and guarded by the Knysna Heads - the impressive sandstone cliffs at the mouth of the lagoon. 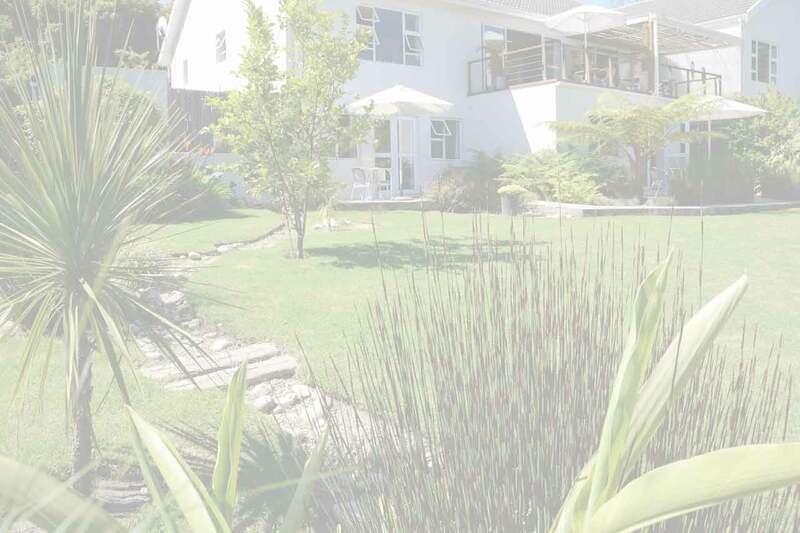 The town is the ideal base from which to explore the Garden Route and all its attractions. The area offers a bewildering choice of outdoor activities, from sailing, cycling, hiking and surfing to bird and whale-watching, photography, boat trips and game drives. Golf addicts will be in paradise as many of the Cape’s finest courses are right on our doorstep. No one seems to be sure of the exact meaning of the Khoi word Knysna. It could be ‘place of wood’, ‘fern leaves’ or, maybe, ‘straight down’ – an obvious reference to the Heads, the impressive sandstone cliffs that guard the treacherous entrance to the lagoon. But, whatever its meaning, Knysna is an enduringly popular holiday town – and one of the world’s top 100 visitor destinations. It’s easy to see why. Our Mediterranean-style climate, deep forests, majestic mountains, uncrowded beaches, beautiful lagoon, numerous lakes and amazing variety of flora and fauna, offer visitors endless opportunities to enjoy the great outdoors. 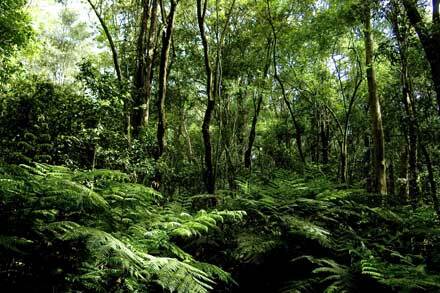 Only 5% of South Africa’s land mass is indigenous forest – and 90% of this is found in the Knysna area. It’s not surprising, then, that the town’s original prosperity came from the timber industry. Knysna’s recent history began in 1804, when a timber merchant named George Rex (reputed to be the illegitimate son of King George III) purchased virtually all the land surrounding the lagoon and brought his entire household here to settle. He developed the lagoon into a port with naval and commercial ships bringing in supplies and taking timber out from the settlements of Melville and Newhaven, which eventually united to form the town of Knysna. In 1869, a Norwegian sea-faring family by the name of Thesen stopped off in Knysna for ship repairs on their way to a new life in New Zealand. They decided to stay and established a thriving business as timber merchants and shipbuilders. The new housing and retail developments on Thesen Islands are on the site of the original sawmills and some interesting pieces of equipment have been preserved and are permanently exhibited in the Woodmill Lane shopping centre in town. Even today, the timber industry continues to make a significant contribution to the area’s economy. Timber is harvested from pine and gum plantations – and also from indigenous forests, but only in controlled amounts. Timber houses (a particular feature of this area) are exported to the Indian Ocean Islands, Singapore and Australia. Local craftsmen and carpenters use indigenous timbers such as stinkwood and yellowwood to produce some striking furniture and decorative items. Knysna’s population grew substantially in 1885 when alluvial gold was discovered in Jubilee Creek. Even though the gold rush was relatively short-lived, the Millwood Goldfields can still be visited today and this, together with the picturesque picnic area at Jubilee Creek, makes an interesting excursion from Knysna. Millwood House, which has been moved from its original mining location to Queen Street in the town centre, is now a museum containing exhibits relating to the town’s history and artifacts once owned by George Rex. Tourism is now Knysna’s major industry and many exciting new commercial, holiday home and golf course developments have put this small town on the international map. 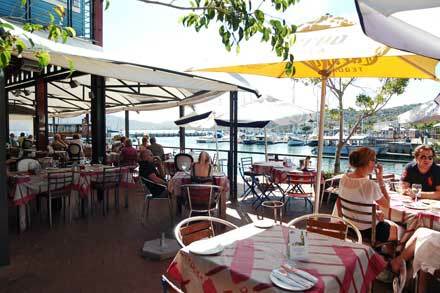 With its many fine restaurants, cafés and bars, shops and boutiques and a host of outdoor activities and cultural experiences, Knysna offers something for everyone.